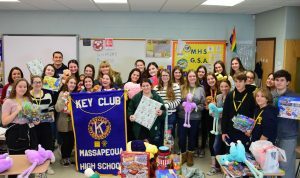 1: The Massapequa High School Key Club collected more than 100 toys for children at the Head Start program in Amityville. 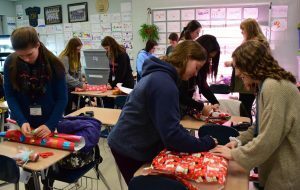 2: High school students were busy wrapping presents after school on Dec. 18. 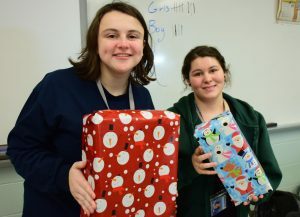 3: Key Club President Samantha Carroll, left, and Amanda Doulos helped ensure that children had a happy holiday season.